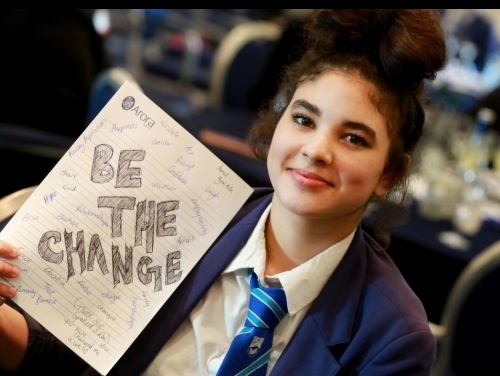 Be the Change is a Sussex-based programme encouraging Year 9 pupils to a path of self-development giving them exposure to positive career role models. SHW are a Supporting Partner for the 2018/19 Be the Change programme, and are providing three Business Coaches – Emma Hards (Business Space Partner, Brighton), Laura Miles (Business Space Associate, Crawley) and Carlie Cheall (Senior Surveyor, Crawley Professional Division). This will be the fifth year since the creation of Be the Change, and the initiative has made a significant impact on the outlook of the youngsters taking part, with 97% of subjects feeling more positive about their future having taken part. The 2018/19 programme started on Friday 9th November with an all-day conference in Crawley.